I’m Tom Meyers, Stress Coach and welcome to episode 10 of Health Matters. Where I take a closer look at the S word that has become one of the biggest challenges to our health and wellbeing Stress. Today I like to share with you how ‘life changes and events’ influences your health. Did you know that positive and negative life changes and events can make you more susceptible to illness and accidents? To that conclusion came psychologists Rahe and Holmes after a thorough study in the 1960. This research lead to the Life change units scale. When I learned about its existence in a psychology class it was a true aha moment. Several patients had come to my practice with non trauma related neck, shoulder or back pain. Most of them said: “they’ve just woken up with it”. What was so particular that many of these patients had only been living in Brussels 3 tot 4 months. As I observed this pattern I started to ask patients when they had moved to Brussels and bingo each time close to 3 to 4 months. But what was the relationship with the physical condition of being physically stuck? The Life Change Units scale gave me the insight. So what changes have you gone through when you decided to go for that job opportunity in Belgium and thus decide to move here. For months you have prepared it, made possibly a few trips for job interviews and to find an apartment. Maybe you’ve been commuting leaving your family and kids behind before finally bringing them over. Now settled leaving family and friends behind you need to look for a new social network and adapt to a new language. Work is new, and you need to get to know the colleagues. You probably got a salary increase and more responsibility. I think you get the picture as you’ve probably been there. How did you experience this period? As stressful? What Holmes and Rahe have done is to give a score to all these life changes. They calculated that if you have more then 300 points on the Life Change Units scale the risk of illness or injury is increased by 70% In above example when scored you have more then 300 points in a couple of months. The bottom line is that change activates the stress response and and that makes you tense. Chronic muscle tension can cause pressure on nerves and can even pul bony structures out of alignment. Auch that hurts and help is needed. Change is sometimes inevitable. However slow down and take enough time to relax, relieve and restore to give your body the needed rest. Get a professional massage or other forms of body-work like stress coaching for body and mind and practice a mindful breathing exercise. I’m Tom Meyers stress coach and contributor of thought to a more joyful and healthy way of living. 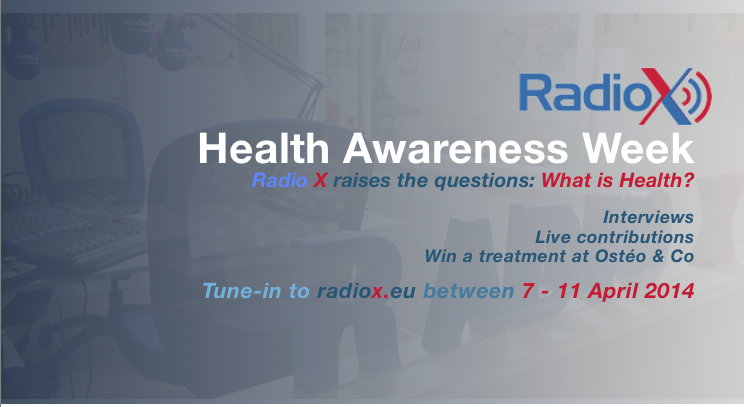 I’m Tom Meyers, Stress Coach and welcome to the first episode of Health Matters here on Radio X. In Health Matters I’ll be taking a closer look at the S word that has become one of the biggest challenges to our health and wellbeing STRESS. Stress, What is it? Why has it become a nuisance? and most importantly …What can YOU do about it? When I talk about stress it is about the biological nature of stress. Stress as in the body’s autonomic response to internal or external demands, resulting in biological and behavioural changes. I know… that’s a mouthful… but over the coming episodes of health matters I hope it will get clearer why I use this definition. Stress as an autonomic response means that it is a reflex … and a result of our biological evolution. To what purpose – you may ask -? Well the stress response was created to protect us from danger. It’s a survival mechanism that will increase your heart rate, breath rate and blood pressure, will divert glucose throughout your body to where it is needed, contracts muscles and shuts down your thinking…. All at once for that just in time jump you make to get out of the way of that oncoming car that will surely have knocked you down if you hadn’t had such a great reflex. The disadvantage of this survival mechanism – sometimes also referred to as the fight and flight response – is that on an evolutionary level it hasn’t really evolved itself significantly …. some say it hasn’t changed since the time we were cavemen and cavewomen. So imagine that this mechanism was made for the lifestyle of that prehistoric man and woman and now look around you… Life has changed a bit don’t you agree? To describe it in another way … we’re a commodore computer with the latest mac software. Mmm I think there might be some functional conflict there? And so we’re arriving at a fundamental question that we must ask ourselves of why stress has become a nuisance… is our biology in conflict with our culture? The American Institute of Stress mentions that an estimate of 75 – 90 percent of all visits to primary care physicians are for stress related problems. With those facts and figures in mind – I hope you agree -that it is time to take stress a bit more seriously. So what can we do about it? Here is one that I consider one the best – self help – stress release tools known to us which can be done anytime, anyplace, anywhere. BREATHING, conscious slow breathing with a cycle of 6 breaths a minute which is inhaling for 5 seconds, release and exhale for 5 seconds. Repeat this exercise a minimum of 3 times a day for 3 minutes and feel how 9 minutes of your day invested in yourself can make the difference to your health and wellbeing. There, this was the first Health Matters episode with information, facts and figures and the first tip to tame stress and improve your health and wellbeing. I’m Tom Meyers have a great week and I’ll see you again next Monday here on Radio X.